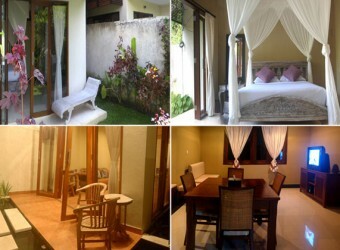 Bali Hotel Sayang Sanur is located little bit far from the main road, and guests can enjoy calm and slow time. There are different types of 20 rooms. All rooms have clean kitchen, 14 hours Free WiFi, ADSL cable internet, and satellite broadcasting. There are 30m broad pool in the site.